You know how the old saying goes: “If you can dodge a wrench, you can dodge a BALL!” Obviously, it takes a bit more to become a master dodgeball player than that, but that sums up the basic concept of the game. 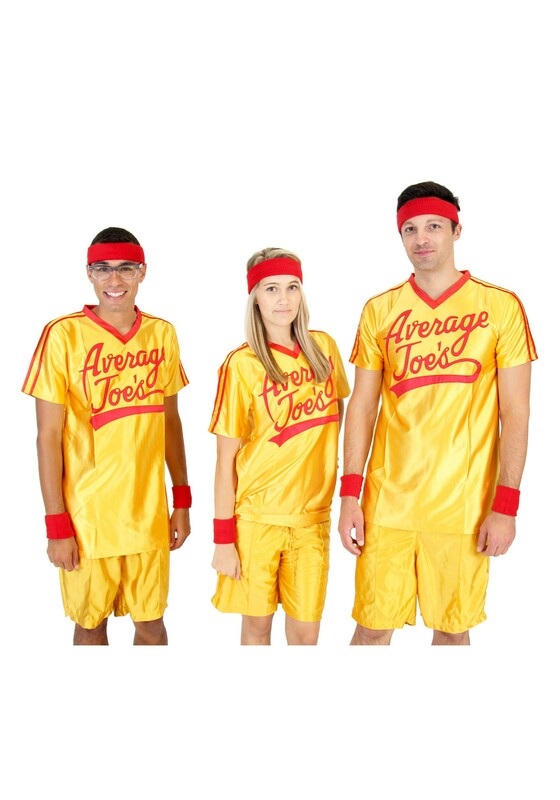 Another important step to becoming a master is wearing this swanky Dodgeball Jersey Costume while you practice, and you'll look just like a member of the team from the hit comedy Dodgeball! So, why do you want to become the best dodgeball player in the world? If it's for fame and fortune, you're out of luck, because there isn't much of either of those in this brutal sport (most championship players even have to pay for their own hotel rooms, resulting in a lot of bed sharing). Are you hoping to push your limits to the max, and possibly even gain some kind of kung-fu level reflexes and inner peace? Well, the viciousness of a dodgeball arena makes a kung-fu battle look like a tea party! The only way you'll ever make it into the history books is to wear this uniform, and to have an unquenchable thirst to win. Only then will you be ready to follow Patches O'Houlihan's wise teachings and crush your opponents! This uniform may seem like a simple pair of gym shorts and a sporty shirt, but that's what made the “Average Joe's” dodgeball team so great. Their outfits didn't distract them from playing, so they were completely focused on winning. Get your friends together and suit up in this costume and some matching head and wristbands, and win the dodgeball championship as a team! And since there's no money in this lifestyle, we'd recommend picking friends you're okay carpooling and sharing a room with.